January is almost over, so I’m wondering: how is everyone doing on their New Year’s resolutions?! More specifically, how is everyone doing on their healthy eating resolutions? New Year’s resolutions are often easy to make but difficult to maintain. Today we’re talking about a fruit that makes it easy to stay on track. The Feel Good Fruit! Also known as the prune (or dried plum!). Despite the bad rap prunes sometimes get, they are deliciously tasty and uniquely nutritious fruits. Definitely one of my favorites, and one I’ve been eating since I was a kid! Healthy snacking in the New Year can be easy when you add Sunsweet® dried plums to your repertoire. They are great straight from the bag, with a dab of peanut butter on top, or mixed into your favorite smoothie. I wanted to create a fun and easy portable snack with my prunes. When I was working in an office, homemade muffins were one of my favorite things to take for a snack. They went perfectly with my morning coffee and I love knowing exactly what goes into them (which is not always the case with something like store bought granola bars). I can eat my muffins at home now, but they’re still great for throwing in Nick’s lunch box. I got the inspiration for these muffins from an Asian plum sauce! Ginger and sesame seem to be perfect pairs to plums (say that three times fast). They are really unique and I’m kind of in love. Especially with the crunchy tops! These muffins are packed with whole wheat, prunes and healthy coconut oil, and just lightly sweetened. Definitely a winner for healthy snacking and keeping resolutions! Preheat oven to 425 degrees. Spray a 12-cup muffin pan with nonstick spray OR line with paper muffin cups. Sift together flours, ½ cup sugar, baking powder, salt and 1¼ tsp ground ginger into a large bowl. In another bowl, lightly beat egg. Add milk and coconut oil and beat to combine. Pour the wet ingredients into the dry and mix until just combined. Gently fold in the dried plums. Divide the batter evenly between 12 muffin cups. In a small bowl, stir together 1 tbsp sugar/ ¼ tsp ground ginger, and 1 tbsp sesame seeds. Sprinkle the mixture evenly over tops of muffins. Baked muffins 20 minutes, until tops are just turning golden and a toothpick inserted in the center comes out clean. Let cool in the pan 5 minutes, then transfer to a wire rack. 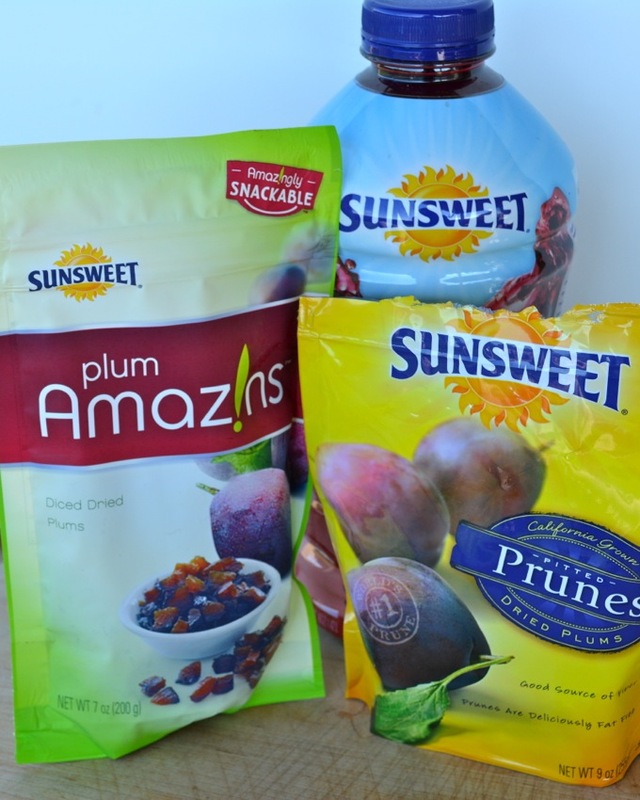 Sunsweet® makes all kinds of prune products, so it’s easy to fit them into your healthy snacking. Their Amaz!n™ Prunes are delicious plump dried plums you can eat straight from the bag. 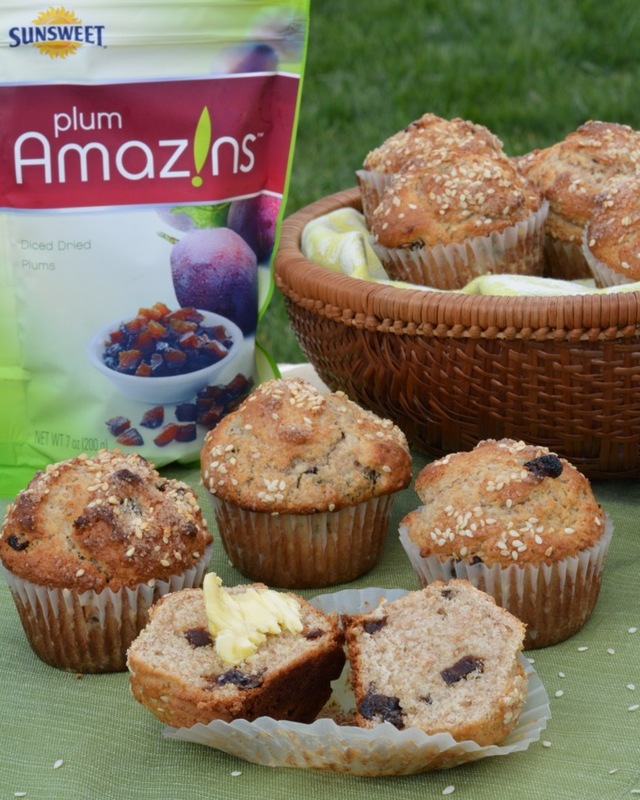 Their Amaz!n™ Diced Prunes are perfect for baking or topping your cereal or oatmeal. 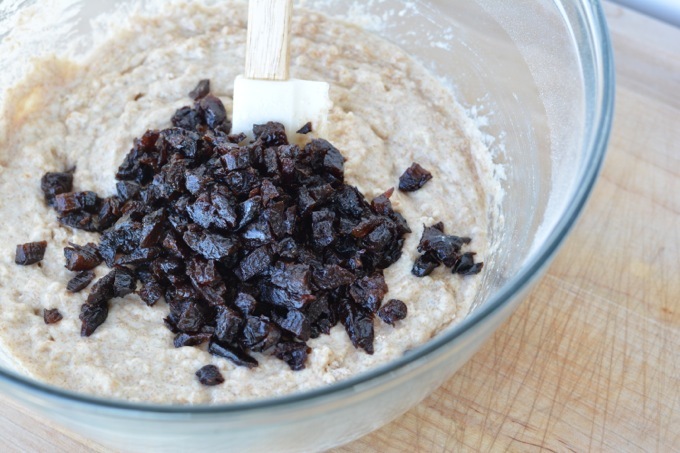 You can use them anywhere you’d use raisins or dried cranberries. I used them in these muffins! Sunsweet® also makes PlumSmart® Light, juice made from a special variety of fresh, juicy plums that provides a good source of fiber. How are you snacking healthy in the New Year? What are your favorite ways to eat dried plums? Healthy muffins are one of my favorite morning snacks, too. These look delicious with the ginger and dried plums, and I love the sesame seed sprinkle! I love making a batch of healthier muffins to have during the week and I need to give these a try next. I love how light and delicious these look, Jess! Pinned! I love all of the good things prunes have going on for them! And I love the addition of them to these muffins — the perfect healthy treat! Now this is a muffin that will keep me on the healthy track! I love these, Jess! Such a creative idea to add in plums. Such an underrated fruit! 🙂 Sounds like the perfect breakfast or snack to me! I actually love prunes, and always have (even as a kiddo! ), so these look fantastic to me. I wouldn’t have thought to pair them with ginger/sesame, but what an awesome combination! They look amazing. All I wish is that I had one for breakfast right now! I actually love dried plums (that sounds so much better than prunes)! 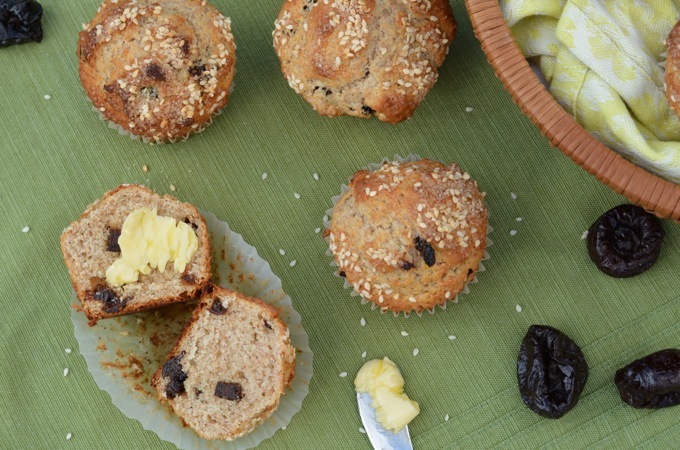 The ginger and sesame sound like wonderful flavors to add, and these muffins would make such a delicious breakfast! Thanks, Katie!! They’re a great snack! I love that for being whole wheat, these muffins look so perfectly moist and soft inside! Such a genius idea to incorporate prunes and sesame seeds! These muffins look delicious, I love the addition of ginger with the dried plums! These look so moist and flavorful. The flavors in these sound delicious! I love dried plums!